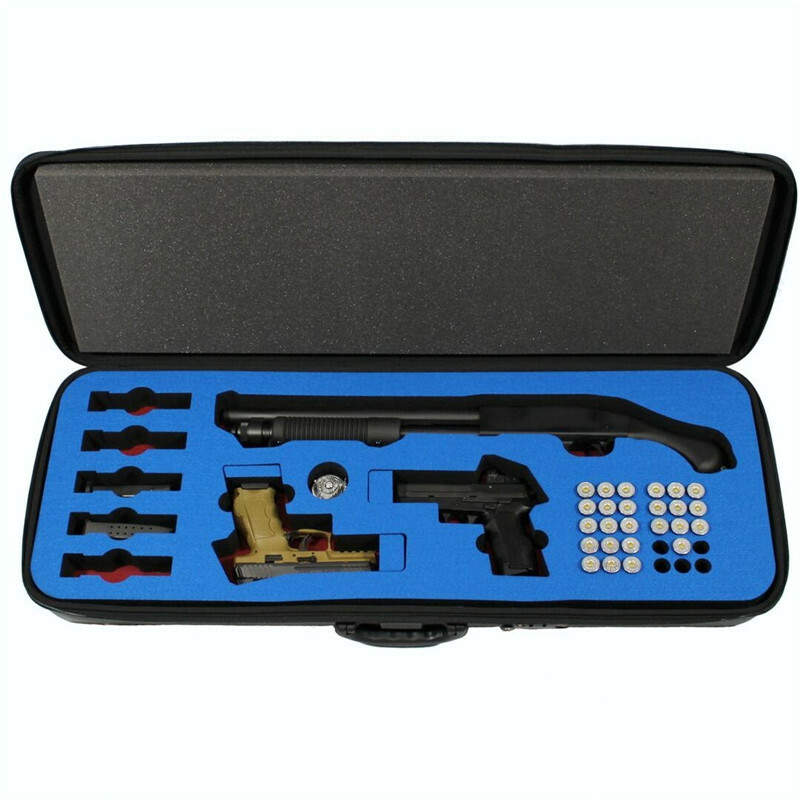 This is OCase Mossberg 590 Shockwave/Remington Tac-14 multi gun home defense case (12 or 20 GA) in SUPER TOUGH NO-RIP POLYESTER FELT – (Weather Tight) – This holds the 590 Shockwave or the Tac-14 shotgun & two extra full size or smaller auto pistols (up to 9.125″ long). 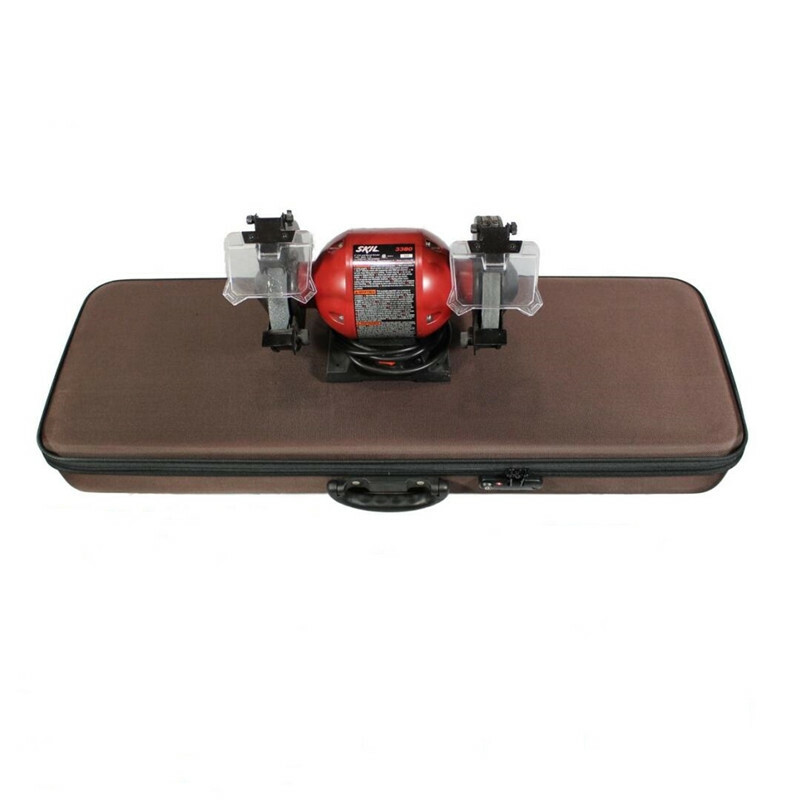 Locking case protects your guns from kids & low profile (4 inches) slides under most beds.. Our three layer system will protect your weapons like no other – All horizontal surfaces (except lid) are covered in soft, durable 100% Polyester Felt (vertical interior sides are NOT covered) – all over soft and firm foam. 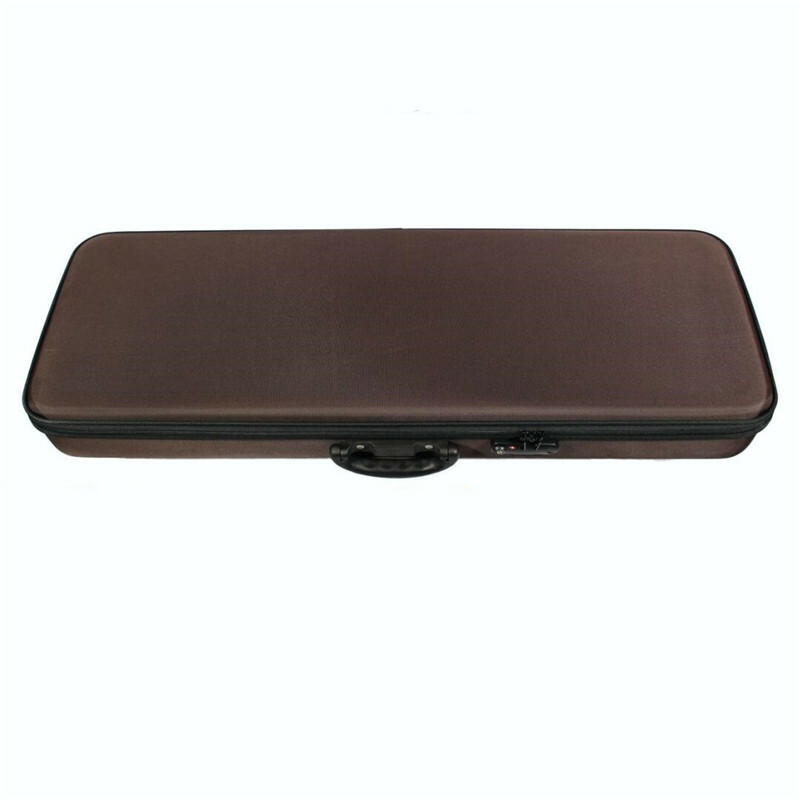 Extra heavy 7mm EVA hard shell case is metal band reinforced and covered in 1680 denier ballistic nylon. Top quality YKK zipper used. Weapons have one inch of foam both above & below it. Extra cutouts include 30 rounds of 12 ga shotshells & 5 pistol mags. Includes a reusable desiccant to keep the interior dry. Option for a solid brass 3.5″ by 1.5″ plate for your custom engraving.